This was a three-day excursion trip during the time when the rain covered almost all Switzerland. But thanks to the Internet where we could find information about places with good weather and unlimited tickets for traveling through all Switzerland with Swiss pass, we visited German, Italian and French parts of the country. We were amazed by Zurich from the first side. It has a unique architectural style, very green and clean, colorful houses with beautifully decorated balconies. We walked along to the river Limmat up to Zurich's lake and thought that it is a very comfortable place for living. 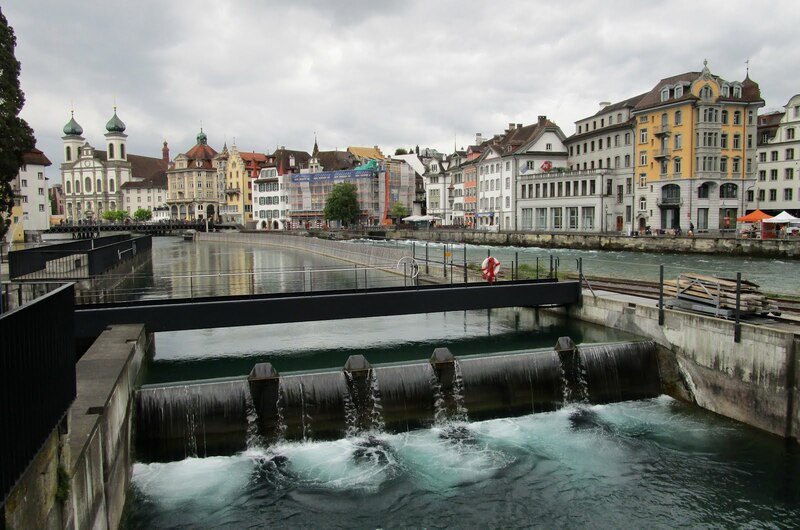 Lucerne is located not far away from Zurich and it was our second destination for the first day in Switzerland. It took only half an hour on a train. Lucerne is considered to be Switzerland's Florence, as one of the most beautiful cities of Switzerland. The city is quite small and the clerk in the office of tourist information joked that we need only 15 minutes for observing the most famous tourist attractions. We did it for a few hours, visiting the bridge, old town, the fortress with colorful garden around. We choose the only sunny in that day place in the South of Switzerland - Lugano. It is Italian-speaking part of the country and it is divided by The Alps from the main part. This region has the highest number of sunny days in a year. The journey took about two hours on the train. We enjoyed seeing fantastic landscapes which we were going through at high altitude. Imagine fabulous villages drenched in greenery, high mountains lakes, lots of waterfalls. We rode through one of the longest tunnels in Europe the length of which is 17 km. It was unforgettable when we had entered the tunnel in the location where it seemed rain will never end, and in half an hour we went out on a lovely sunny day. 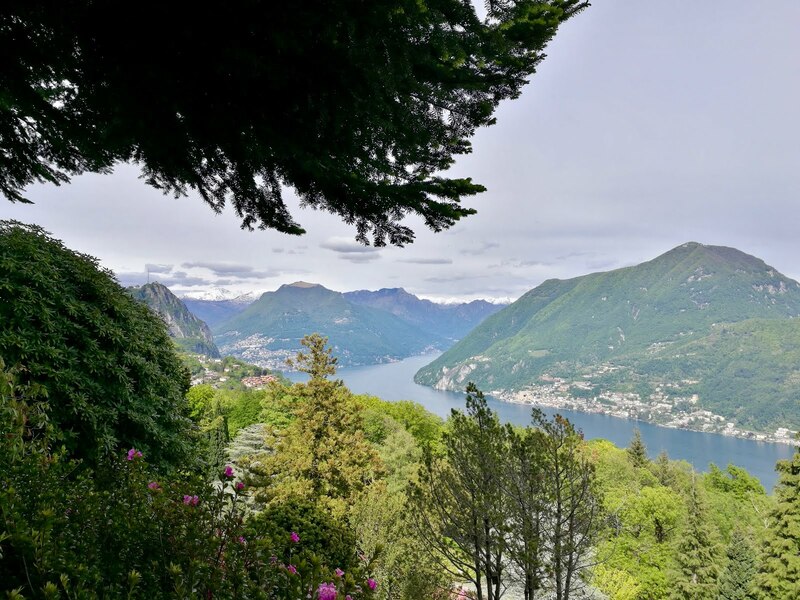 Lugano is the most visited city of this predominantly Italian-speaking canton Ticino. Coming from the station, we were astonished by amazing view on top of the medieval town standing on the banks of the emerald lake. When we went down to the main square, we witnessed two events: local dance show and international bike racing. We walked in exotic botanical garden arguing about the abilities of a man if not to manage the weather, then at least to choose a place where it is better at the moment. Before this trip, we read some tourists’ stories on the Internet. There was mentioned one highland village Carona with San Grato Park located nearby. 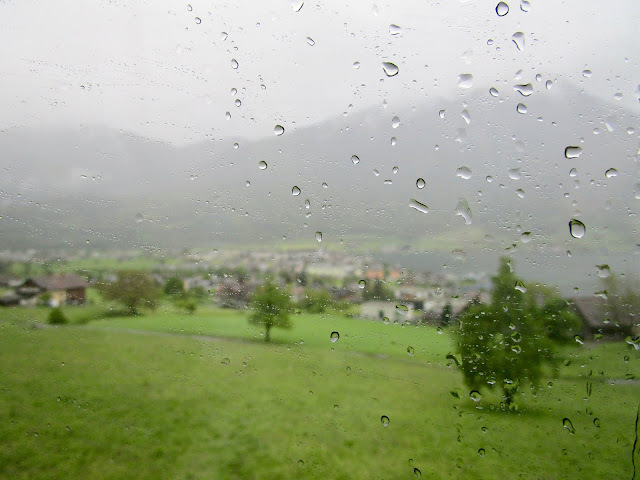 After half an hour on the bus number 434, we were high up in the mountains. Our fatigue disappeared instantly when we had seen beautiful views of the snowy mountains, the lake from a great height, gorgeous gardens with unusual bright colors. We made a decision about travel destination this day just in the morning after observing the forecast. As it appeared there was one other place without rain in that day- Geneva, which is located at the distance of 2.5 hours riding on the train. This is mostly French speaking region. The difference between German and French speaking parts is noticeable: green meadows with cows were replaced by vineyards everywhere on the French side. The first impression of Geneva was a large space created by the buildings around the lake. We saw the fountain located in the lake, it seemed that the jet of the fountain pulled up to the sky (this is the highest fountain in Europe). A lighthouse, located on the lake, creates a sense of the sea of the city. Lots of tourists in that day - groups of children occupied the old town of the city. We took a few photos and decided to go further. On the way to Bern, we went out to the train station of Fribourg. This is the city which is called the town off three dimensions due to its old part located just on the slope of a mountain. A small part of the old city is located in the ravine that enhances "the effect of three dimensions". One interesting detail, Fribourg occupies a place on the border between French and German speaking regions and we can see the names of street one in French, next in German language. 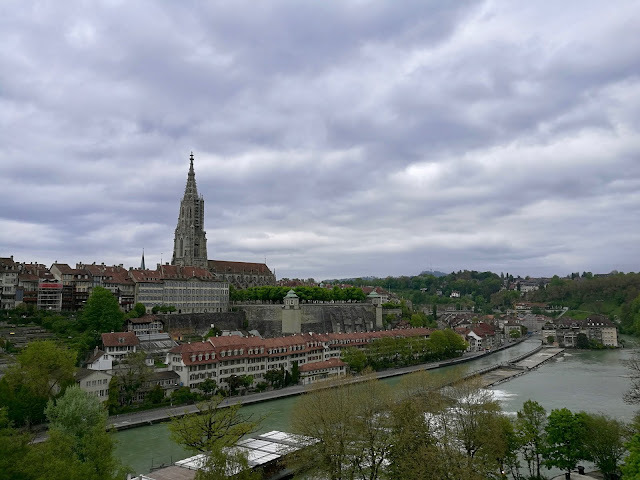 The city that we visited last was Bern. There is a parliament there and for this reason this city is considered to be a capital city of the country (there is no official capital city in Switzerland). 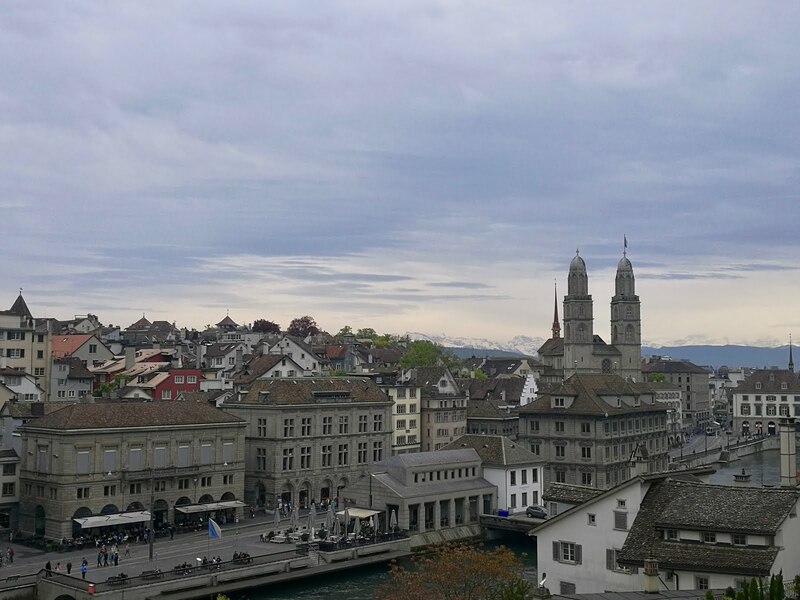 View of the majestic buildings confirmed in my eyes the status of Bern as the capital of the country. Bear is a symbol of Bern, its statues and images are everywhere. 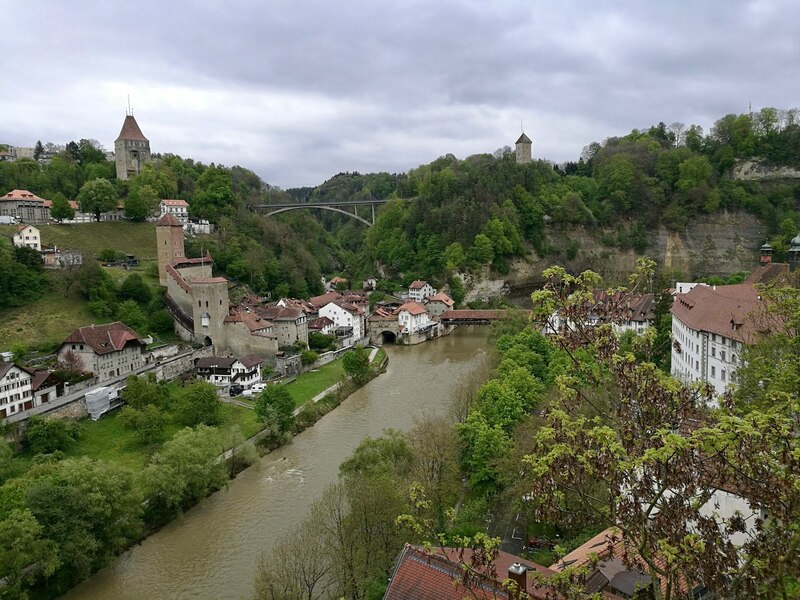 The medieval part of the city represents the period of the Middle Ages very well, feeling of a journey on a time-travel machine stayed with us during the visit to Bern. 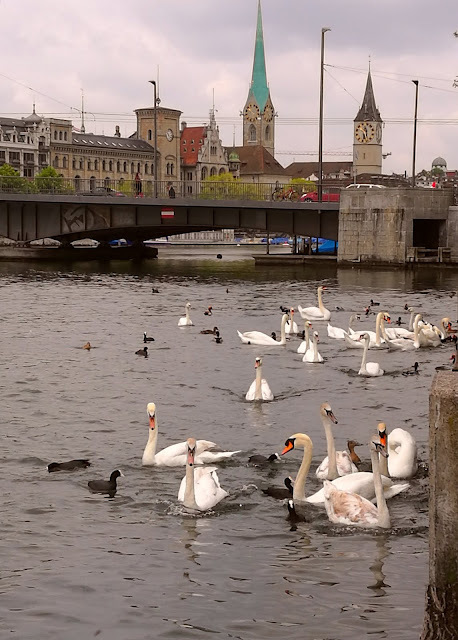 On the last day, we had a few hours before the flight and we spent the day walking along the old Zurich, sitting on the waterfront of Zurich's Lake and discussed our impressions about the beautiful country - Switzerland. The cost of transport constitutes a large part of a tourist's expenses during traveling. The minimum price for a ticket for tram or bus is 2.5 swiss francs (franc is equal to euro). The ticket from Zurich to Geneva costs 89 francs. I advise the readers to bear it in mind that there is a not so cheap, but, nevertheless good option -- which is available only for foreign tourists -- Swiss Pass. We bought three-days Swiss Pass for the price of approximately 200 francs for each person. As it appeared it was a good decision. Food is very expensive too. The price of one Big Mac in McDonald's is 6.5 francs and it is much cheaper than visit an average restaurant. It is relatively affordable to go for dinner to Migros restaurants. Nevertheless, we found one thing which cheaper than in other countries, it is water Even (0.95 francs) or water from under faucet (it is clean and free). The total amount of money which we spent for this trip wasn’t so high because we flew with low-cost airline AirBaltic and we lived in inexpensive but surprisingly luxurious apartments from Swiss Star. Switzerland is an amazing country, a kind of reserve in Europe. In such a short time, we gathered so many beautiful impressions that our minds were overwhelmed with the beautiful moments which we had. The memories from this journey will remain with us forever.